Why I’m excited: Imagine animals becoming smart and talking in human language. Imagine them take revenge for all the things that humans have done to them. Now that is scary and intriguing! It’s springtime at Sheffield University. Will Susan, Esther, and Daisy make it to summer? It’s springtime at Sheffield University—the flowers are blooming, the birds are singing, and fast-pals Susan, Esther and Daisy continue to survive their freshman year of college. Susan is barely dealing with her recent breakup with McGraw, Esther is considering dropping out of school, and Daisy is trying to keep everyone and everyTHING from falling apart! Combined with house-hunting, indie film festivals, and online dating, can the girls make it to second year? Why I’m excited: What shenanigans will Susan, Esther, and Daisy get into during the spring time? Who knows, but expect hilarious incidents and tight friendships. 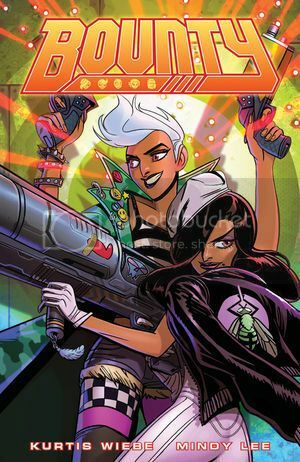 Why I’m excited: This comic had me at “criminals in the galaxy,” but also “bounty hunters.” Those are two instant “OOH OOH YES GIVE ME THIS” to me. Return to the Unknown with new Over The Garden Wall stories that expand the world of the Emmy Award-winning Cartoon Network series. Writer and artist Jim Campbell spins a tale that follows Greg and Jason Funderburker as they traverse the Unknown and find new friends along the way. 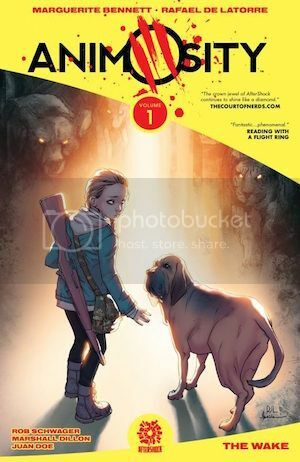 Meanwhile, the Woodsman’s daughter Anna, wanders alone in the Unknown after her father is tricked by the Beast. 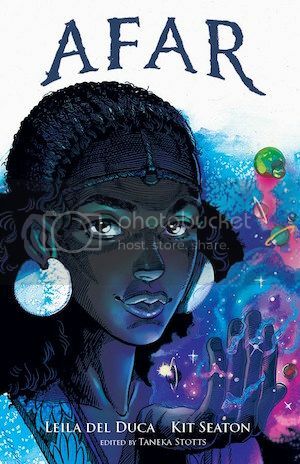 Written by Amalia Levari with artist Cara McGee—find out how Anna learned to survive on her own as she starts her journey to save her father before his fate is sealed. Both of these stories are something no Over The Garden fan will want to miss! 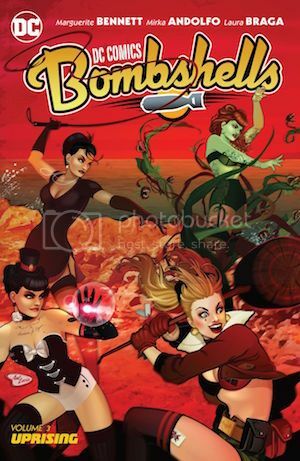 – KaBoom! Publication date: March 22, 2017, 2017 by KaBoom! Why I’m excited: When this was announced, I was drawn to these things: “Sibling love! Astral projection! Different worlds!” And now it’s out! Why I’m excited: Saga forever continues to destroy me. I’ve read what happens in this volume, and oh boy, my heart needs all these characters to be okay. I never really read graphic novels/comics except for classes, but these look beautiful! Some of these premises sound so interesting, and I absolutely love the cover art on many of these. So cool! Woo! 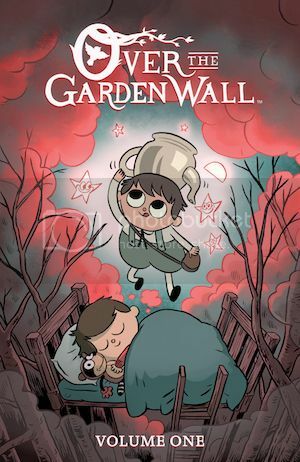 I just got Over the Garden Wall (I’m OBSESSED with that show- I have artwork of Greg and Wurt hanging by my bed!) 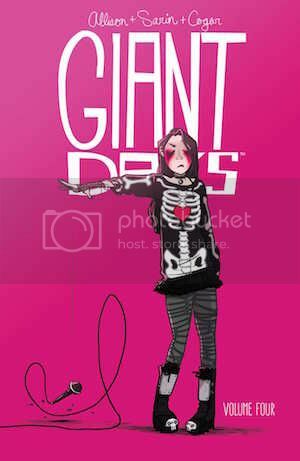 and Giant Days Vol 4! 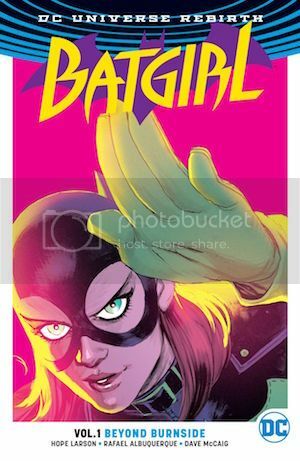 Ooh Batgirl! 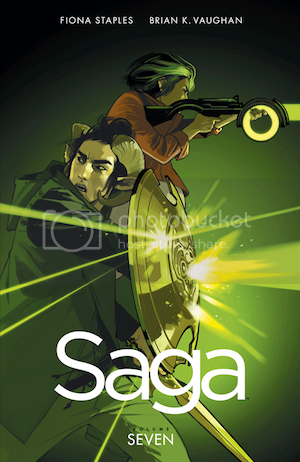 I need to read Vol 6 of Saga – I can’t believe the seventh is out already!